Susan C. Tesker, 55, of Stuart Florida died September 13, 2006 at Martin Memorial Medical Center in Stuart, Florida. She was born April 9, 1951 to George and Ordella Schaefer Tesker in Port Washington. She grew up on the family farm on County I in the Town of Saukville. She was a graduate of the University of Wisconsin – Oshkosh and was a member of the 20/200 fellowship group of the blind. She lived in Oshkosh for many years before moving to Stuart, Florida in 1995 to work as a proof reader for Braille International. 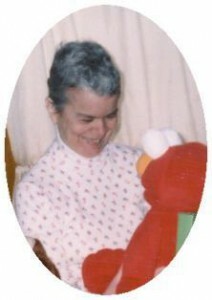 She was a member of St. Andrew Catholic Church and was very active with the Florida and American Council for the Blind. She is survived a sister Kathy Tesker of St. Louis, Missouri and a brother Daniel Tesker of Saukville, Wisconsin. Further survived by other relatives and friends. The Rev. Karl Acker will celebrate Funeral Mass 7 PM Friday, September 22, 2006 at Immaculate Conception Church, 145 Church Street, Saukville. Interment parish cemetery. Visitation 4 – 7 pm Friday at Church.